It's also on sale in the UK for the reduced price of £54.99 from Amazon. 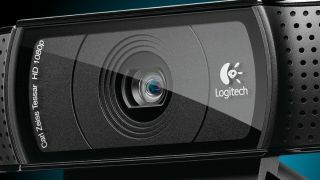 If you’d like the world to see your face in glorious HD, we have good news: our favorite webcam, the Logitech C920 HD Pro, is drastically reduced on Walmart. It’s going for $49.15 at the moment, saving you $50 overall from its $99.99 price tag. If you’re in the UK, Amazon’s also selling the C920 HD Pro for less: it’s £54.99 right now. That saves you £39. Considering the camera’s 1080p resolution, dual microphones, and 720p video capture for streaming, that’s a bargain. Want a microphone to go with your new camera? No worries. Take a look at our guide to the best microphone for streaming and gaming.